Karaoke has never looked that good! 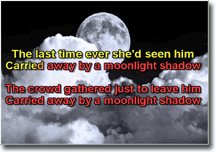 Our karaoke player and recorder software is the greatest advancement in karaoke programs in years. It will turn your standard PC into a powerful karaoke machine! More useful features than any other related programs put together! 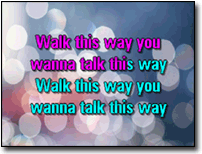 If you are a KJ and looking for the program for your PC to run a karaoke show from your laptop, then take a look at Siglos Karaoke Professional - a KJ-dedicated show manager. 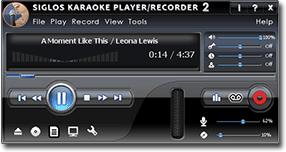 Siglos Karaoke Player/Recorder 2 is an easy-to-use karaoke player for playing and recording songs on Windows-based computers. To play CD+G discs your CD/DVD drive has to be able to extract CD+G subcodes. Most of modern drives are capable of this, but we cannot guarantee it will work on all devices. Use the software evaluation version to see if your drive works fine before you purchase our karaoke player and recorder program. Siglos Karaoke Player/Recorder 2 costs $49 USD. Users of original Siglos Karaoke Player/Recorder can upgrade to Siglos 2 at the price of $19. 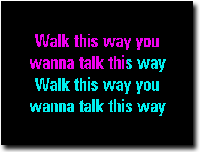 If you own any other our karaoke software, you get $10 discount on your purchase. With the purchase you get a year of free updates and support.